There are a few things things most wedding planners can’t help you with, something more important then the who, what, when, and where, of the wedding, and that’s the how: how you look, that is. Weddings mean getting in shape, looking your best, and that includes your skin. But good skin takes a lot of work, and chances are the stress levels aren’t going to make it look any better. Luckily, some dermatologists have it all figured for you. Read on to find out what treatments you should be scheduling and when in order to wake up with perfect skin on your big day. A chemical peel: Chemical peels can kickstart the exfoliation process. They get your cell turnover going, guaranteeing you blemish free, glowing skin on the big day. Micro needling with Plasma: Although not for the faint of heart, micro needling with platelet rich plasma is a one-size-fits-almost-all treatment that uses the cells in your own blood to promote growth of cells for an even complexion. Remember to communicate with your dermatologist. It is important that he or she knows your goals so you’re on the same page about which treatments will bring your desired results. If you missed out on the micro needling or peel, there is still time for that, as is there time for other rejuvenating treatments, such as lasers or IPL’s. Six months should provide you with enough time to recover from the first treatment, which tends to require the longest downtime, and still leave time to receive one or two more treatments before the wedding. Start planning and thinking about rejuvenating and healing treatments that help to maximize the results you get from these treatments when the skin begins to shed, in the not too distant future. At this point, you should not be introducing anything new to your routine; concentrate on healing from the treatments you’ve already received. This is a good time to have the last dermaplaning session. Have the last of the professional treatments; do not plan or receive any more. Stay away from deep peels and extractions, and spend your time using exfoliating products and other skin nourishing formulas. 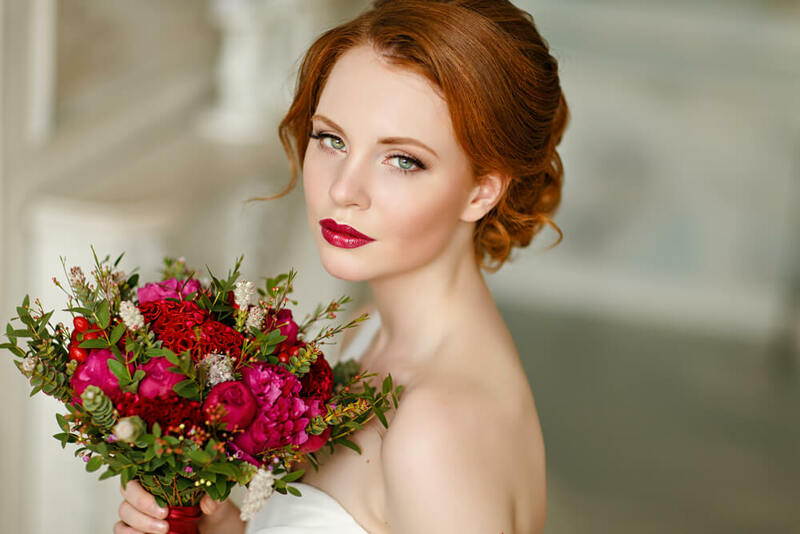 Ask your dermatologist, aesthetician for any last minute tips to get the bridal glow on your big day, and what you should do to get rid of those evil stress induced blemishes that might pop up the week before the wedding. Good luck, congratulations, look beautiful, and remember, it’s all about that bridal glow! And, for those in the know, let us know how you prepped your skin for your wedding!